Over the past few years, social networks have connected friends and families, enabled people to find love, toppled dictatorships and even elected officials. It’s a force not to be taken lightly. However, what makes this utility so powerful are the hearts and minds of humans who use and contribute to each network. A positive byproduct of this movement is financial contributions are decentralized to those in need; sometimes in the name of love, attention, health or laughter. But why do strangers give money to seemingly random strangers through this technology? The idea of individuals being able to solicit funds and raise money from a crowd dates back to the Statue of Liberty in 1884. Joseph Pulitzer used his newspaper platform to raise $100,000 in 6 months from small donations to help build the amazing national monument. The movement continued with event fundraising and the advent of the walkathon. Oddly enough, this started in Puerto Rico with a Latin actor supporting the Puerto Rican League Against Cancer. Ramon Rivera walked 80 miles in 1953, and using his celebrity raised $85,000 in 4 days. The psychology of giving to individuals is fascinating. Aspects of altruism are obviously prevalent. People see others in need and want to help under the most dire circumstances. 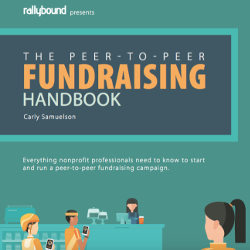 There is reciprocity, social proof and “paying it forward” all surrounding the success and rise of social fundraising. Essentially, 100 people could potentially raise $150,000 by sending 1 email. This is a rudimentary example but illustrates the power of modern day networks. Online communication and giving methods lend themselves to a more digitally savvy audience. So as nonprofit organizations look to diversify or attract younger demographics, consider social fundraising as a key tool in this plan.